The secret is out! 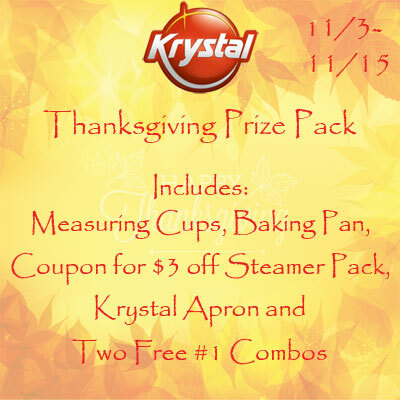 This holiday season, The Krystal Company®, famous in the South for its small square burgers, is spreading cheer by spreading the word about its own favorite holiday recipe for Thanksgiving stuffing. The once-secret recipe will be printed on limited-edition steamer pack boxes.